For those of you still labouring under the belief that ‘The Season’ comprises such sporting events as Royal Ascot, Henley and Wimbledon, I am here to disabuse you. The last time I caught the train up to Ascot in June I was convinced I was stuck in a carriage full of football supporters attending a wedding – jackets were too short, trousers too tight, shoulders too round. The ladies were uniformly a shade of creosote. News from as deep inside as the Royal Enclosure depicted scenes as grotesque as those to be found in Hogarth’s ‘Harlot’s Progress’. 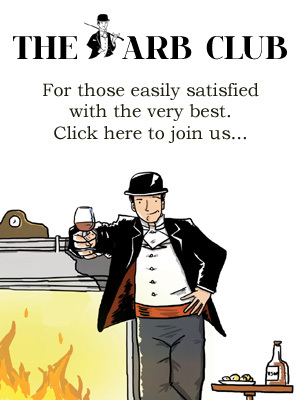 The event, for the uninitiated, has its origins in The Chap Manifesto, and the ensuing magazine, The Chap, a publication with a situationist bent which attempts to bring back the old fashioned values of the decadent gentleman, exhorting its readers to abide by such commandments as “Thou Shalt Always Wear Tweed” and “Thou Shalt Always Doff One’s Hat”. The Chap Olympiad is the Olympics as devised by Beau Brummel, Oscar Wilde, the Marx Brothers and Spike Milligan. The games take place fittingly in Bedford Square, the best preserved of the area’s Georgian squares. It also happens to be a private one, reserved for key holders, thereby keeping all wearers of denim and other loathed modern attire at a safe distance. In truth though, whilst this is an event that encourages imagination and outrageousness in dress and facial grooming, it is free from the petty snobberies and censure that blight most cliques and clubs. There were fat people, thin people, old people, young people, geeky people, suave people, Black, White and Brown people. Parents brought their children and it appeared in some cases, that children brought their parents. Sense of humour was mandatory and yet it was impossible to entertain the thought of attending such a gathering without it in full supply. And in dressing up people were casting off – I have rarely encountered a group so open and friendly. It was like being at a giant party with friends you had yet to befriend. Stalls were ranged round the sides of the square selling refreshments and comestibles, and tables and chairs were scattered throughout where groups picnicked, or if they preferred, on rugs laid on the grass. At on end one could sign up to one or more of the various events. In the middle was set a large stage on which battle would take place, mountable by steps at either end and flocked in lined green astro turf. At twelve forty five began the opening ceremony – ‘The Lighting of the Olympic Pipe’. Here, The Chap founder, Gustav Temple, solemnly lit a large bowled wooden smoking pipe which was then passed to the contestants who had filed onto the stage in a loose rectangle, backs to the audience, and who were all expected to take a puff or two before passing it on – a sort of Holy Communion for Chaps. A few with working pipes of their own negotiated this by puffing on both simultaneously. Throughout, things were kept lively by the musings of the master of ceremonies. His was an essential role and he kept his witticisms flowing for the duration of the games, never missing a beat, subtly gauging the mood of the crowd. Dressed in an old fashioned dinner jacket, wing collar and homburg, and with a black moustache, he possessed the suavity and sangfroid of a twenty first century Rhett Butler. To impart the full flavour of proceedings I felt duty bound to take part in at least a couple of events. As the first three involved mounts of some kind I decided not to chance getting oil or unwanted creases in my white three piece suit. ‘Tea Pursuit’ involved contestants in pairs – one armed with tea pot, the other with cup and saucer – chasing each other on bicycles with the former attempting to discharge into the latter’s receptacle without spillage. As both riders were required to keep in motion, indeed the trick was not to merely avoid spillage, but to get any appreciable liquid into the mouth of the cup. It was an event that relied either on super human adroitness, or blind faith. ‘Well Dressage’ required neither but rather the preening self regard of a peacock in courtship. I quote from the Order of the Day; “Two contestants, each mounted on a hobby horse, make a display of elegance and panache around the track in a freestyle manner”. This was not a sport that relied only on broad farce and buffoonery but imagination and choreography. A couple of young bucks who got carried away suffered the ignominy of immediate disqualification for ‘high fiving’. ‘Umbrella Jousting’ was perhaps the most violent event of the tournament and I was glad to have opted to observe only. Two knights, wielding umbrellas, went at each other using briefcases as shields. Three passes were allowed but, in the heat of battle, rules were sometimes discarded. Some swashbucklers played to the gallery in slow motion pantomime. Others descended into ugly mêlée. One combatant, realising too late that he had no battle plan whatsoever, rode headlong at his opponent. There was a rude clash of mounts and he described the only graceful thing of his tilt – a perfectly executed arc in the air. On paper, ‘Hen-Pecked Husband’ looked like just the sort of indolent ticket I was after. Here, a gentleman attempts to reach the comfort of a deck chair and to place a stag’s mask on, whilst his efforts are frustrated by a team of ladies dressed as hens. How hard could this be? Clearly I had not contended on the pitiless blood lust of woman. The group of ladies comprised a veritable wall of oestrogen-charged vixens stretching from one side of the stage to the other, perhaps thirty strong, whilst the men were broken down into paltry knots of four. Without much conviction we gave our team the hubristic name of ‘Victory’. I didn’t pay much heed to what happened to my team mates although I was vaguely aware that each had been swarmed by floral print dresses. My tactics involved setting off last in the hope that, in the devouring of my chums, I might be forgotten. No such luck. I was barely a third of the way across when I was beset by at least three daughters of Boadicea. I was brought to my knees and continued in this fashion for a few paces like a well-dressed supplicant before being taken to the ground. There I lay prostrate, my cruciform outline testament to the self-sacrifice of my efforts, whilst several of the victorious ladies sat on me like human paper weights. Fortunately the ending of the event marked a one hour break for tiffin so I decided to go in search of Gustav Temple, granddaddy to all things “Chap”. I found him away from the hubbub, resplendent in full Peaky Blinders’ get-up – eight-piece cap, dark trousers and waistcoat and pinstriped shirt with stiff penny collar and brass collar stud. I was expecting to find someone eccentric and exuberant like The Chap editor-at-large, Michael ‘Atters’ Attree who I last encountered wearing a full Elizabethan ruff and velvet smoking jacket. Instead I found someone discreet, an observer, and quietly serious about what he does. Despite the humour – and the humour is a vital part of the mix – The Chap was, and is, as much a reaction to the uniformity and corporate blandness of contemporary Western culture. I discovered that, like me, Mr Temple used to be a punk. The spirit of rebellion remains even if the outer casing has changed. Mohican and bovver boots have been swapped for moustaches and spats as signs of continued transgression. “It wouldn’t happen now though,” he remarked of the current political climate, in contrast to the zeitgeist of the early noughties that allowed it first to flower. Returning to the stage I discovered that I had inadvertently missed my second event as competitor, ‘Freeform Breadbasket-Ball’, wherein athletes attempt to hurl bread rolls into a basket conveyed by a wandering butler whilst gluten intolerants try to prevent them. Alas, we shall never know whether my skills here surpassed those of my hen-pecked husband. I was back in time though for my personal favourite, ‘Toupee Trumps’, in which competitors attempted to knock the bouffant hairpiece off a gentleman wearing a very convincing Donald Trump mask, using only luxury chocolates as missiles. This combined surreality with the flowering of righteous anger. Poor man, I did feel for him, although he did valiantly take on the role of sacrificial goat for the entire Chap community. I’m glad to say no real blood was spilled though things did get very chocolatey. Billed as “the laziest game of tennis” ever, ‘Not Playing Tennis’ was conducted from deck chairs using a ball on a wire and employed the services of a ball girl, and in one case, a pet whippet. ‘Bounder Hunt’ followed in which hidden cads were tracked down by umbrella-wielding ladies (the ritual humiliation of men creating a theme worthy of the Tory party). The games culminated in an event which offered the highest density of pratfalls and slapstick. The ‘Corby Trouser Press Challenge’ required the participants of two teams to change trousers at six Corby Press stations, leap-frogging in underwear over the device at the completion of the de-bagging. Some went at it at breakneck speed, others, of a more poetic and speculative nature, simply ambled through. One swap, which involved a girthful individual of eighteen stone or more and his team mate of half that, had all the hallmarks of a Laurel and Hardy skit. The VIIth Chap Olympiad took place at Bedford Square on Saturday 16th July 2016. The XXXIst Olympiad is now underway in Rio de Janeiro, Brazil.